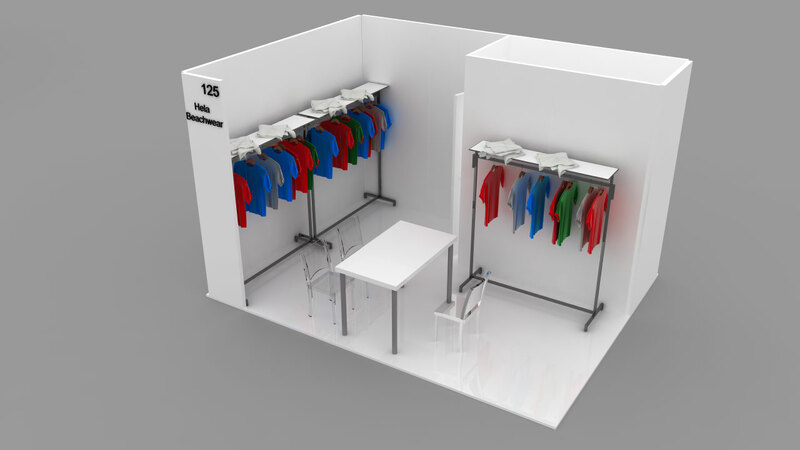 Included: perimetral white panels (H 250cm, W 100/50cm), power connection with three universal sockets, power supply 3Kw, five halogen spotlights, one flag with signboard, one waste basket, one partition panel for service room, one hinged door, 3 chairs, one rectangular white table (120x80x75h), 8 mt. 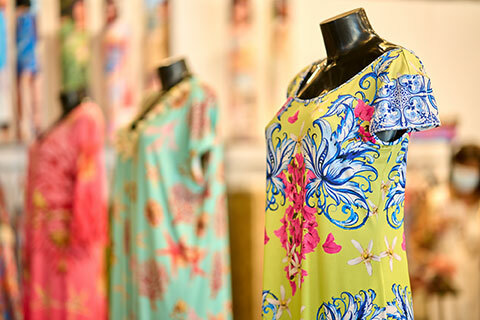 clothes-stands; 40m²-wide booths are doubly equipped: fourteen clothes-stands and one single service room. 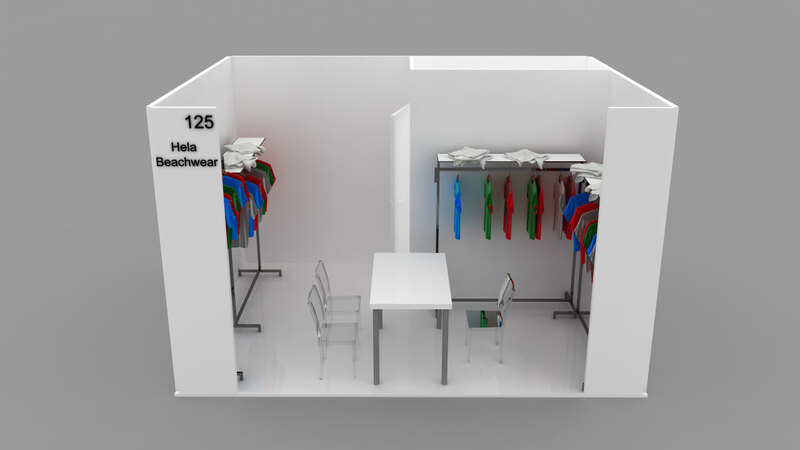 For booths with sixteen clothes-stands, please contact the Secretariat. 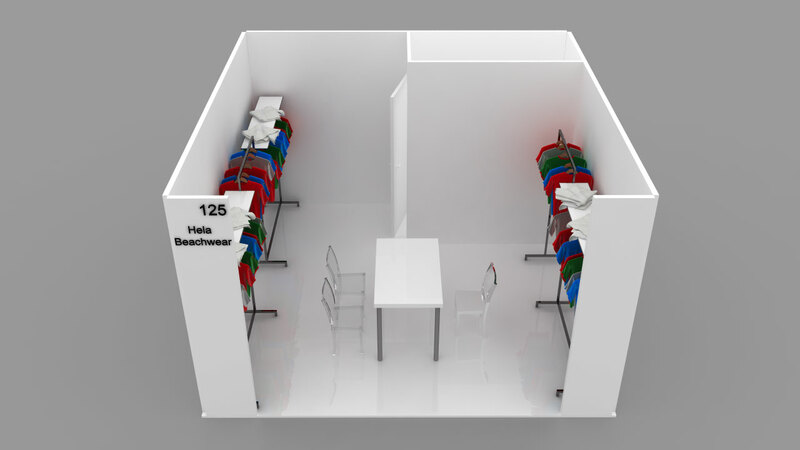 Included: perimetral white panels (H 250cm, W 100/50cm), power connection with three universal sockets, power supply 3Kw, four halogen spotlights, one flag with signboard, one waste basket, one partition panel for service room, one hinged door, 3 chairs, one rectangular white table (120x80x75h), 6 mt. 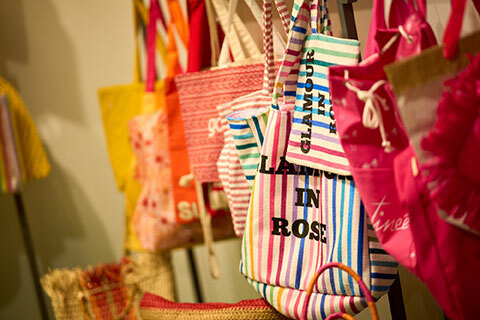 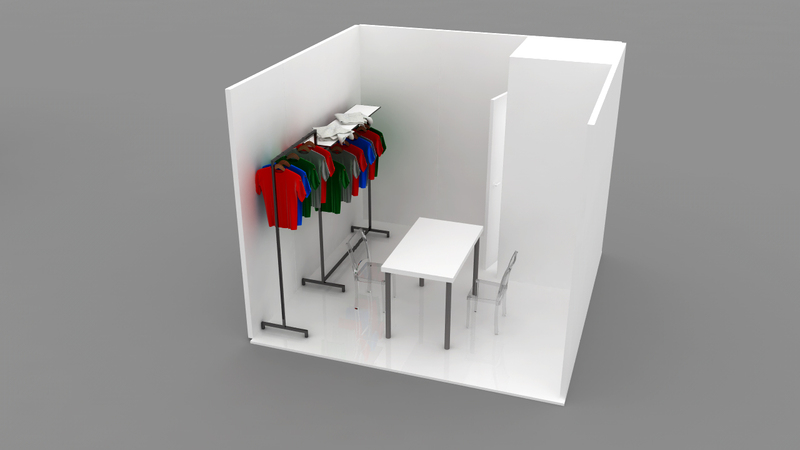 clothes-stands; 32m²-wide booths are doubly equipped with one single service room. 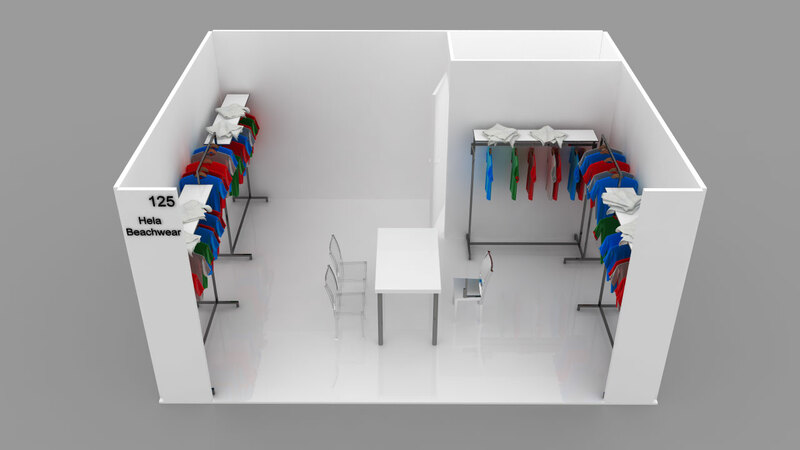 Included: perimetral white panels (H 250cm, W 100/50cm), power connection with three universal sockets, power supply 3Kw, four halogen spotlights, one flag with signboard, one waste basket, one partition panel for service room, one hinged door, 3 chairs, one rectangular white table (120x80x75h), 5 mt. 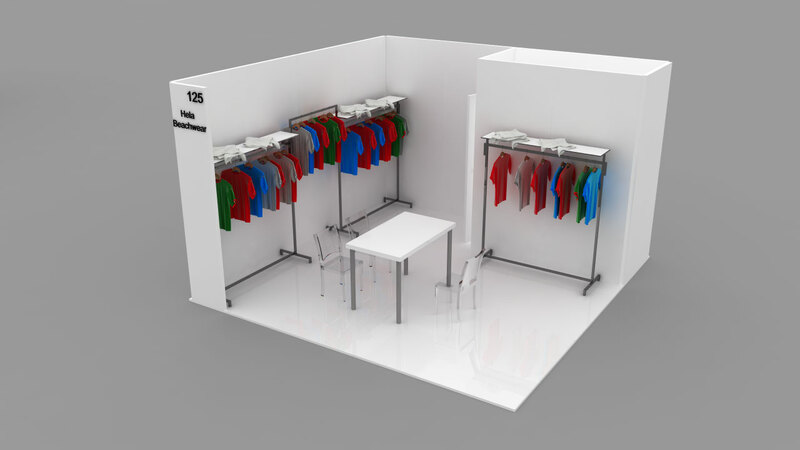 clothes-stands; 24m²-wide booths are doubly equipped with one single service room. 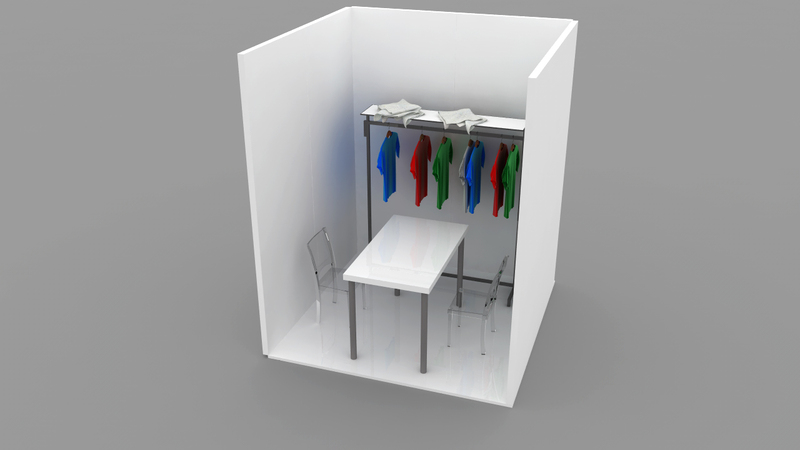 Included: white perimeter panels (H 250cm, W 100/50cm), storeroom with lock, perimeter walls, n. 1 table, n.2 chairs, 3 mt. 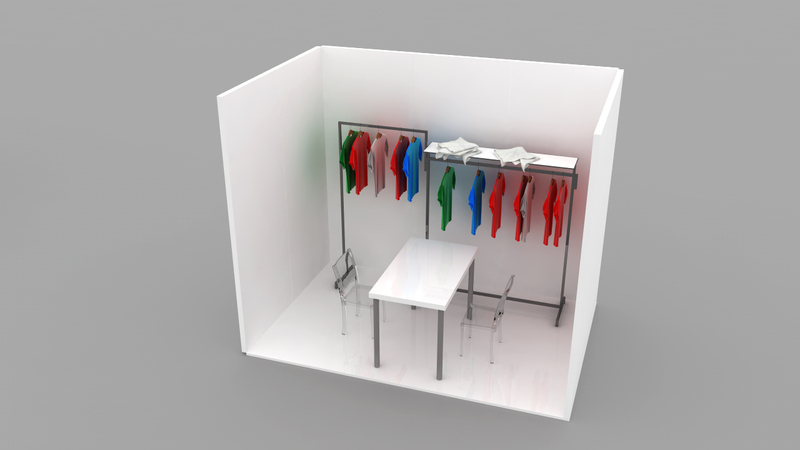 clothes-stands, spot lighting, power connection with three universal sockets. 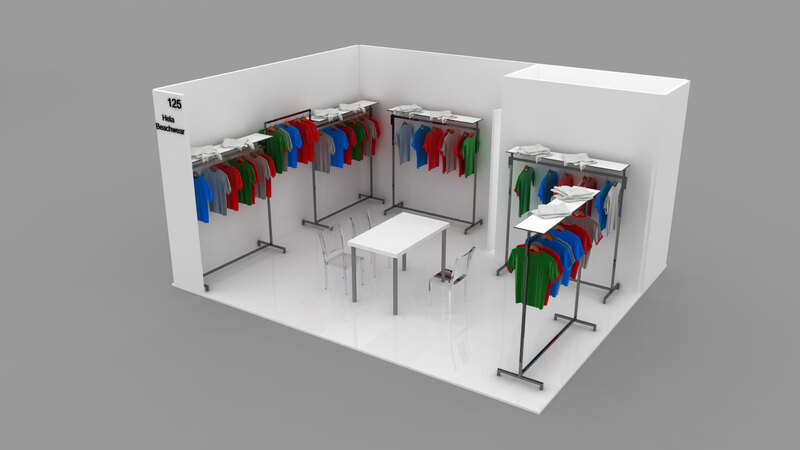 Included: 2 mt in diameter including carpet, two halogen lights, two stools, a table, a structure with hanging racks or shelves.